Senator Samuel D. Thompson, Ph.D. 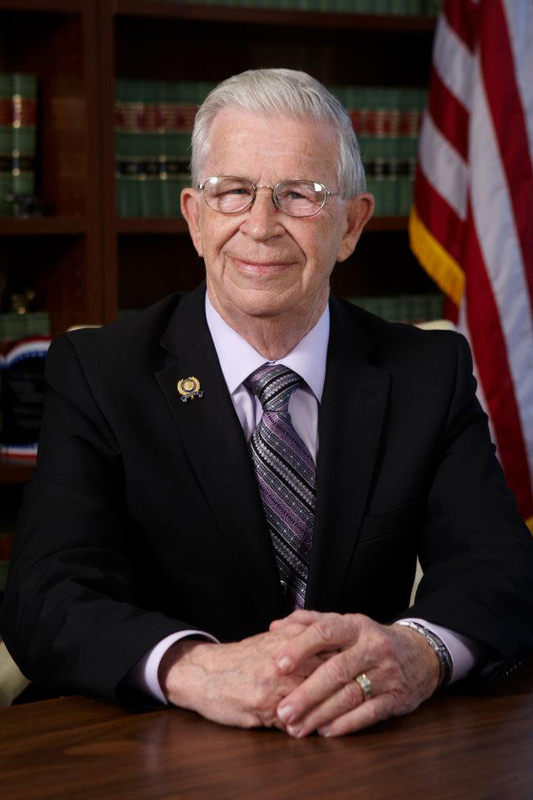 Senator Samuel (Sam) D. Thompson, Ph.D., has been a member of the New Jersey Legislature since 1998. He served in the General Assembly until January 2012, when he was sworn-in as the Senator for the 12th Legislative District. In the Assembly, Sam served as the Minority Appropriations Officer and as a member of the Higher Education Committee and the Assembly Life Sciences Task Force. In previous sessions, he has served on Assembly Committees including: Health and Senior Services, Housing and Local Government, Transportation, Labor, and Family and Women Services. 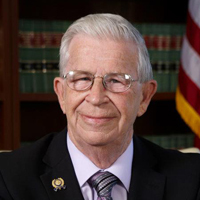 Various task forces and commissions on which he served include: The State Council for Adult Literacy Education Services, NJ Commission to Deter Criminal Activity, Commission on Business Efficiency of Public Schools, NJ Advisory Council on Elder Care, Assembly Task Force on Grandparenting, Joint Commission on Public Schools, Adolescence Violence Task Force, Task Force on Pain Management, Managed Care Task Force and Continuing Care Task Force. Areas of particular interest to Dr. Thompson include healthcare, senior citizen issues, education, tax relief and transportation. He was prime sponsor of legislation that created the NJ Kid Care and NJ Family Care programs which provided health insurance for low income working families. He sponsored the NJ SAVER property tax rebate program which has been returning tax dollars to NJ taxpayers since 1999, and a measure that doubled the income eligibility levels for seniors to qualify for a freeze on their property taxes. The Senator was honored as New Jersey State Jewish War Veterans Legislator of the Year (2006), New Jersey State VFW Legislator of the Year (2005), Legislator of the Year by the NJ State Nurses Association (2002), the Garden State Pharmacy Owners of the NJ State Pharmacists Association (2001), the NJ Recreation and Parks Association (2003), the New Jersey Shore Builders (2004), and the NJ Association of Health, Physical Education, and Recreational Dance (2000). He was also cited by the Association of Asian Americans for Excellence in Public Service (2002), by the Indo-American Festival, Inc. "For Continued Support of Indian American Community" (2000). Senator Thompson received his B.S. degree with majors in chemistry and math from the University of Arkansas (Little Rock) and his doctorate in physical chemistry from Louisiana State University. He was employed as a research scientist for six years by DuPont and J.P. Stevens prior to 22 years with the NJ Department of Health. In the latter position he directed a variety of laboratory programs concluding his career as the Director of Clinical Laboratory Improvement Service in which capacity, he licensed and regulated all of the clinical laboratories and blood banks in the State. During this period he also served for 10 years as a member of the US Armed Forces Epidemiological Board. Subsequently, Senator Thompson was employed for three years by the NJ Turnpike Authority as Director of Planning, Analysis and Government Relations and later as Director of Communications and Government Relations. Today, Dr. Thompson is a full-time legislator.